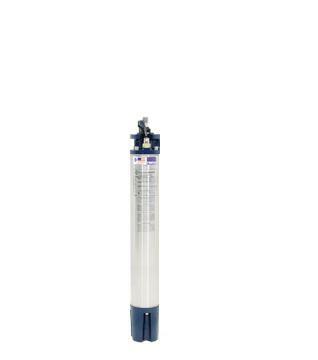 Standard Franklin’s 6-inch submersible motors are typically used in large demanding water wells requiring high flow rates or deeper installations. These motors are tough, built to last, and come in a variety of construction options: Standard – for most water wells Sand Fighter™ - for wells with high levels of abrasives Hi-Temp – for hot water and other harsh conditions Stainless Steel – for aggressive water These motors provide large amounts of water for irrigation, community water systems, and factories where large flows or pressures are required. We understand how important it is to produce reliable systems to avoid significant costs due to failure or downtime. 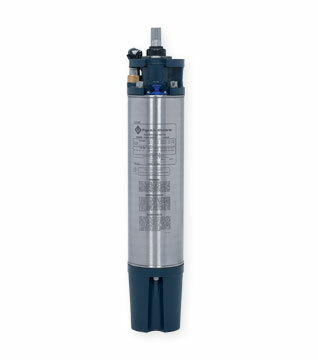 Typical applications that rely on our motors include: •Agricultural •Municipal •Industrial •Mining •Booster •Reverse Osmosis •Oil & Gas Applications These motors are built for dependable operation in 6” diameter or larger water wells. Features: •Full 3450 RPM, 60 Hz design point •Maximum temperature winding wire NEMA class 200 •Double flange design •Stainless steel splined shaft •Hermetically-sealed stator •Resin encapsulated windings •Stainless steel shell •Epoxy coated end frames •Filter check valve •Kingsbury-type water-lubricated thrust bearing •Pressure-equalizing diaphragm •3-lead & 6-lead (wye-delta) configurations •Pre-filled with temperature-resistant fill solution •Sand fighting slinger •Removable Water Bloc™ lead •Copper bar rotor •Carbon ceramic rotating face seal •Franklin-manufactured control boxes available for single-phase motors •Worldwide availability Special Options •Sand Fighter models with special Silicon Carbide based sealing system available for applications with sand or other abrasives and SubTrol Heat Sensor for use with SubMonitor protective devices. •316 SS Construction available. All 316 SS motors include Sand Fighter sealing system and Subtrol Heat Sensor for use with SubMonitor protective devices. •SubMonitor Motor Protection – A field proven and contractor friendly premium motor protection system. It protects the motor against overload, underload, overheating and rapid cycling. The use of SubMonitor can also extend the motor warranty.